Supreme Court of India on Monday has slammed Justice Karnan’s lawyer Mathew Nedumpara for repeatedly mentioning Karnan’s matter before it. 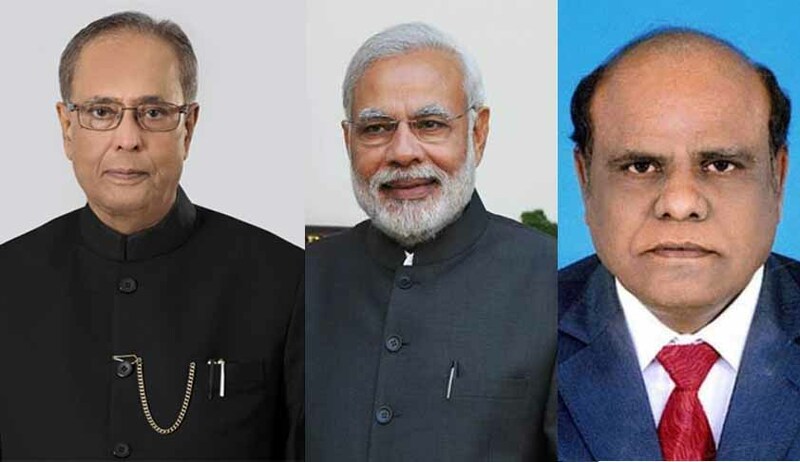 Chief Justice Khehar told Nedumpara “"you are wasting court's time, will hear plea when it comes up"
In another devolpment, Justice Karnan has approached the President, Vice-President, Prime Minister, Lok Sabha Speaker and Members of Parliament against the order. In a letter, Justice Karnan submitted that the President had appointed him as a judge and the President alone could have removed him and that, too, upon an impeachment motion, which has received the 2/3rd majority of the Members of Parliament. “I am convicted for contempt of court by the Hon’ble Supreme Court of India for no offence committed by me. I am convicted and sentenced for 6 months for commission of an offence of Contempt of Court, that too by usurping the jurisdiction invested in the parliament, so too in a trial even without a charge sheet being framed while I did not commit any Contempt of Court at all. What is the offence? Did I commit a Contempt of Court? In all humility I beg to submit, I did not. All that I did was to raise the ‘little voice from within’, I am afraid to say, even tyranny,” she said. According to Justice Karnan, he was not only impeached, but even being sent to the jail without any such impeachment motion against me, be a mere judicial order of a 7-judge bench. He also said the judgment against him is not mere abuse of the contempt of court law, but violation of the constitution and the usurpation of the jurisdiction of Parliament. Last week, Advocate Mathew Nedumpara had approached the Supreme Court seeking recall of the court’s order against Justice Karnan. He also made it clear that Justice Karnan is not ready to tender apology to the court.